This month, this event is held on Wednesday due to the scheduling and travel for Professor Kannan Ravindran who is traveling from India. 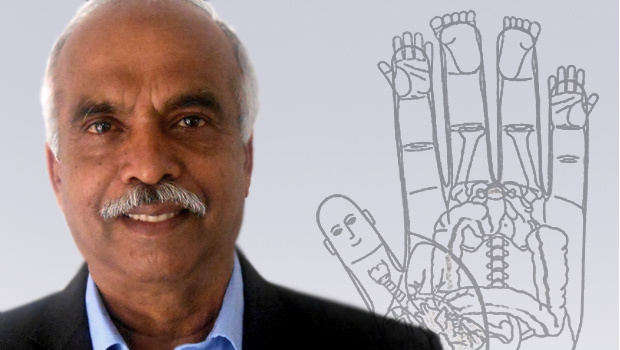 Professor Ravindran will be talking about acupressure and the importance of it for good health. A private session is a consult to get some naturopathic and acupressure therapy for any existing physical pain or discomfort in the body. This is very individualized therapy based on one’s physical, mental and emotional state. Acupressure related tips and suggestions to alleviate discomfort will be provided specific to their conditions so that one can help themselves in the comfort of their own home, and can practice Acupressure points for their specific condition by applying pressure using their thumb and middle or index finger. Once instructed, this is a low-to-no cost do-it-yourself therapy. Professor Kannan Ravindran will hold a one day lecture and workshop on Saturday, September 7th from 9AM-6PM. At this workshop, you will learn the 38 acupressure points of the body, what they mean, what parts of the body they are associated with, what to look for in determining a deficient condition, how to treat it and more. In his lecture, Professor Ravindran will discuss how acupressure works, pressure points, certain common diseases – cold, cough, diabetes, cholesterol, pain and how to manage pain – sciatica, knee pain etc. He will also perform demonstrations on some of the attendees to illustrate the work. This workshop is based on Dr. Devendra Vora’s book – Health in Your Hands – Volumes 1 and 2, which covers prevention, diagnosis and maintenance of health. Lunch for this event is on your own. You have an option to pre-purchase a vegetarian lunch at Assisi Heights $15. Should you choose this option, your check must be received prior to September 1st. What is Kaya Kalpa Yoga? Kaya Kalpa Yoga is not an asana yoga practice as we know of it, but rather an ancient wonderful technique of the Siddhas (A Siddhas is one who has transformed their ego… read more at: http://en.wikipedia.org/wiki/Siddha) of South India for the enhancement of life energy. NOTE: This class involves both theory and practice session that requires a disclaimer signed by the participants prior to attending the session. Prof Ravindran, a successful business man India, was initiated by Sri Vethathiri Maharishi into Kundalini yoga. He began practicing and teaching Kundalini yoga on a part time basis. He later trained under Dr. Devendra Vora (Dr. Vora is known as “the greatest Acupressurist humanity has ever known” in India in acupressure. In 2006, Prof Ravindran quit his business and founded YANTRA (Yoga, Acupressure Naturopathy Research Association) Foundation, a Non-profit organization spreading the message of health and wellness, striving to attain world peace through individual peace. He has recently been appointed as a Research Professor and Advisor for the Karnataka, India division of the World Institute for Scientific Exploration (WISE), Baltimore, MD. Professor Ravindran has presented Acupressure workshops throughout the U.S., including at the World Bank in Washington DC. To spread the message of wellness and create awareness around the world regarding Yoga, Acupressure, and Natural Therapies is the main aim and mission of Yantra Foundation. YANTRA foundation conducts health and wellness program all over India in association with Dr. Devendra Vora Foundation and Government of Karnataka; Department of AYUSH (http://www.karunadu.gov.in/ayush/karnataka.html)and is dedicated to teach and diagnose so that individuals can heal themselves without medication. In addition, YANTRA Foundation conducts free training programs for volunteers whose mission is to spread the message of health and wellness. Professor Ravindran later received an MD in Acupressure from Maharashtra, India. ”When the student is ready, the teacher will appear.